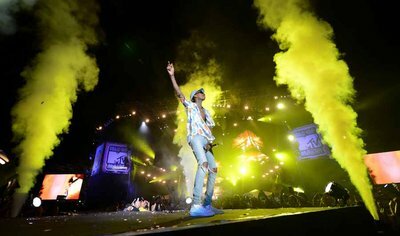 Valletta, Malta; 29 June 2016: Last night, MTV in partnership with the Malta Tourism Authority returned to the island to celebrate the 10th Anniversary of ISLE OF MTV MALTA. 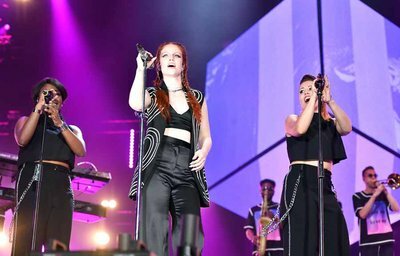 Valletta’s Il-Fosos Square was once again ignited by knockout performances from WIZ KHALIFA, JESS GLYNNE and CLEAN BANDIT, in addition to a killer closing set from Electro-House heavyweight STEVE AOKI. Kicking off the party was local band Airport Impressions who had the tens of thousands of fans moving to their unique blend of Rock and House music. 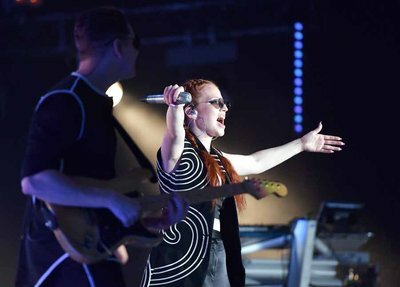 Just as the sun began to set JESS GLYNNE’s incomparable vocal broke the crowd’s screams. Dressed in a black satin coordinate she sang out the killer hook of Don’t Be So Hard On Yourself. Flanked by her two backing vocalists and band, her visually stunning set included tracks Ain’t Got Far to Go and Hold My Hand. Her passionate tribute “I Feel For You” to the late, great Prince, brought her set to an emotional close. 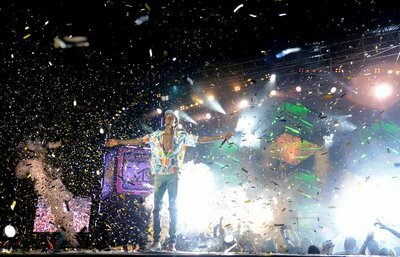 Wiz Khalifa wowed fans with his legendary performance of laid back vibes and heavy bass lines. Opening with global hit Black and Yellow – the crowd bounced from the start to finish of his set, which included hip hop anthem We Dem Boyz. 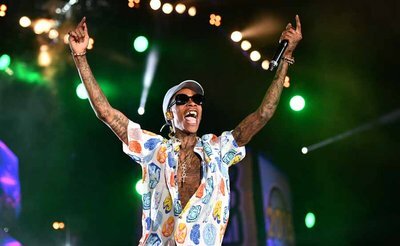 Ending with 2011 smash Young, Wild & Free, Wiz left having found 50,000 new recruits for his Taylor Gang. “This is what 50,000 people looks like” – Steve Aoki. 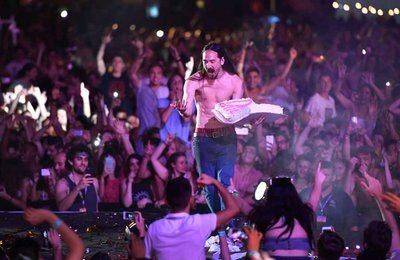 It was left to super-producer and DJ STEVE AOKI to bring the show to its killer close. Spinning tracks from Back 2 U to Can’t Go Home in the pyro and flame lit sky, Steve wanted everyone to join the party, snapchatting from stage and pulling an unsuspecting fan from the crowd to join him in his booth. In a sweet and satisfying conclusion to the mighty tenth anniversary celebration, Steve literally served the icing on TEN cakes to the adoring fans with his epic cake throw. For the first time ever, fans around the world were be able to experience the entire Isle of MTV show LIVE on www.isleofmtv.com and interact with the stream by posting to social with #IsleofMTV. A partnership with social messaging app Snapchat, made Isle of MTV a globally viewable Snapchat Live Story. In addition MTV’s Snapchat Discover channel featured a wide range of content from behind the scenes footage to performance clips. Fans were also able to enjoy and interact with the show via Facebook Live links from the event, streaming a host of backstage and fan content. 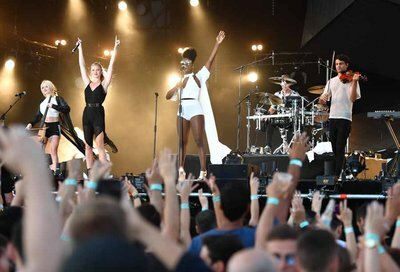 A 60-minute Isle of MTV Malta Special will be broadcast across 20 MTV channels internationally beginning 1 August. 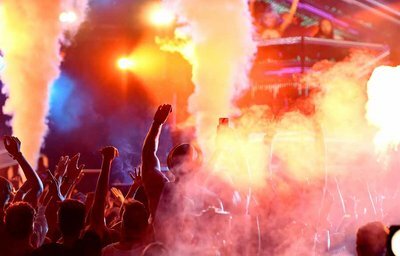 For all the latest news and information about Isle of MTV visit: www.isleofmtv.com or the official Facebook page: http://www.facebook.com/IsleofMTVMalta. For high-res still images and broadcast packages click here.